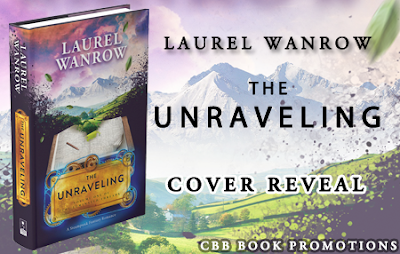 Several weeks ago, I posted a book cover reveal for my sweet friend, Laurel Wanrow and her debut novel, The Unraveling. I asked her back today so we can get to know her a little better. I’m so thrilled to have you here today, Laurel. To start off this interview, tell us three things about yourself that readers may not know about you. I’ve always loved nature. I’ve never been squeamish about much in the outdoors. Here’s a childhood story: During grade school I lived in California in a little town with the desert pressing in. We kids were warned to watch out for scorpions and Black Widow Spiders—shudder, I still am afraid of finding one—but for fun we caught lizards and horny toads. Once, I caught a tiny, quarter-sized horny toad on the walk to school and wanted to keep it. In those days, the book satchels were open at the top, and little second grader me never dreamed such a small animal would be a climbing maniac. I spent the day leaning out of my desk and scooping up that horny toad and shoving him back to the bottom of my satchel. It’s amazing the teacher didn’t yell at me, or worse, someone didn’t step on my little guy. I collect rocks. I have lava picked up from California roadsides when I was eight, fossil crinoids from my great-grandfather’s farm in Nebraska gathered when I was a teenager, Wrangle garnets from my honeymoon ferry ride to Alaska, all the way to a teeny perfect quartz crystal I found on the beach last year while hunting shark’s teeth. It’s no wonder I married a geologist! I always have been, and always will be, a huge John Denver fan. My favorite song is not Rocky Mountain High, Take Me Home Country Roads, or even Annie’s Song, which was sung at my wedding. It’s an obscure, short song (ballad?) at the end of the Spirit album, entitled The Wings That Fly Us Home. I laughed out loud imaging you catching your little friend before your teacher caught you. It sounds like you had a great childhood with your share of adventures. When did you realize you wanted to be a writer? I didn’t always want to be a writer, but I always had stories going through my head. It sounds cliché, but I didn’t realize people didn’t think in stories. While homeschooling my son, I started writing down one of theses stories during the times when he attended specialty classes. I was hooked, joined RWA and kept writing. I have also had stories living in my head all my life. And like you, I thought that was normal. So here's an interesting question. How do you think your life experiences have prepared you for a writing career? I started 4-H as a ten year old and continued through graduating from high school. In our area, the county held speech and demonstration competitions. Writing my spiels for these prepared me for my career as a naturalist, the same work my dad did. I went to college at the same university as my dad, got the same degree and worked in the same field. I always wanted to be a naturalist—someone who leads nature programs—and loved sharing my love of nature with people, especially children when I taught at an environmental education camp. Telling people about nature and enticing them to enjoy it involves as much storytelling as writing! I wrote nature walks, campfire talks, history demonstrations and all the other written materials that parks put out, like exhibits, trail brochures and press releases. I like imagining the setting and figuring out the problems the characters are facing. 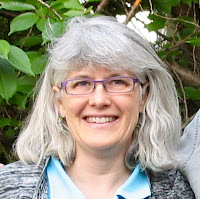 I am just in the beginning throes of promotions, but I bet that will be my least favorite, because it takes me away from writing, though I do love connecting with people! Everything I write is fantasy. I’ve always loved magic and mystery. My settings may change—historical to contemporary to futuristic—but the story will always have a thread of magic, something mysterious going on, and a happily ever after, of course! Wow, I'm so impressed that you can combine historical and fantasy. Tell us about your newest book release, The Unraveling. It’s fun. It’s fantasy, and not just one kind: magic, psychic abilities, shapeshifters and made-up steam-powered and clockwork machines that work via mechanics and luminated blue threads that only the heroine, Annmar, can see. There’s a mystery to solve as her world unravels, twists and becomes bound up with the European polecat shapeshifter she falls in love with. Did I mention it’s an epic fantasy, told across three full-length novels? The complete story, The Luminated Threads, is set in the 1860s England during a simpler time, yet the problems are just as ornery to solve when a determined magnate is set on controlling agriculture—and Annmar. I’ve tried to stay true to the Victorian sensibilities, while still having lots of fun with a culture where the customs evolved to suit the rather unorthodox magic-bearing residents. Laurel, that sounds fascinating. Tell us a little bit about how you came to write The Unraveling. Don't you just love dreams!! Do you believe writers are born to write or learn to write? I believe storytelling is innate. But one needs to learn the techniques to best present the story. ‘Never give up. Never surrender.’ But it’s not original to me! It’s been years since Jo Ann Ferguson used this Galaxy Quest quote in her very motivational keynote speech during the Beau Monde mini-conference in San Francisco. It was my second RWA conference and the advice made such an impression on me I’ve never thought I wouldn’t publish. The Unraveling is Volume 1 of a three-part serialized novel. The Twisting, Volume Two of The Luminated Threads, will release this fall. The Unraveling will be on SALE for ONLY .99 through June 30th. There’s still a chance to win a print copy through the Goodreads Giveaway program. And the trade paperback, 360 pages, is available at Createspace. 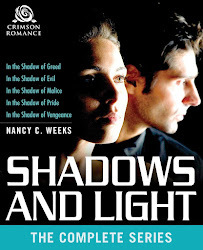 Thanks for having me on your blog, Nancy! It’s been fun chatting with you! Laurel, it's been my pleasure. Please come back when you are ready to release the next books in this amazing series. I have my copy and can't wait to read it. If you want to learn more about Laurel Warrow and her writing, I've posted all her social media links below. Laurel also left behind a blurb and excerpt. Enjoy! Except Annmar Masterson. The nineteen-year-old rejects his improper advances and instead takes an advertising position on a farm. She discovers the isolated valley is home to gifted species—including animal and plant shifters—who hide their lives from the rest of England. The blue threads only she sees on their clockwork machinery prove her heritage is rooted with theirs, but their world is so different that Annmar doesn't know if she'll ever belong. Shapeshifter Daeryn Darkcoat blames himself for the death of his mate and swears he won't be responsible for another pack. But when the farm he loves falls victim to an endless run of strange pests eating the crops, he joins the hunt, taking charge of an unruly team of predator shifters. In the midst of the battle, Annmar stirs feelings he can’t resist. THE UNRAVELING is a full-length novel, approximately 350 pages, for readers 18+ (new adult and older). Please note: This is volume 1 of a three-part serialized novel. Volume 2 will be published in fall of 2015 and Volume 3 winter of 2016 to complete THE LUMINATED THREADS, a steampunk fantasy romance. Annmar and her new employer had just agreed on the size of the advertising label when the door opened again, and in walked the fascinating young man, wiping his palms down heavy brown trousers held by worn leather braces. He was big. Much bigger than she’d realized from across the platform, he had the firm muscle of a broad, well-defined body. His rolled sleeves revealed fine, dark hair that covered the lovely brown arms he loosely swung. He planted his feet before them. “This is the artist from the city?” His deep voice nearly purred. “Yes.” Mistress Gere crossed her arms, but couldn’t keep a smile from curling her lips. “I should have known you’d be in here as fast as you could manage, my boy. Annmar, may I introduce Daeryn Darkcoat, perhaps the most gregarious individual among our farm family. Daeryn, Annmar Masterson, who, as you noted, is a city girl and not at all used to our casual country ways. You will keep to the borders of her territory until she gives you permission to enter.” The tall woman fixed him with an eye-to-eye look. Annmar blinked at the bizarre introduction, so forthright, and made while he lacked a jacket, or even a waistcoat…never would such an impropriety occur in Derby. Yet she’d been warned and had promised to pardon their atypical customs. He didn’t pause between that acknowledgment and extending his hand. His gaze searched hers curiously, and he smiled, not the grin of before, but almost shyly. Her stomach flipped. Sweet wasn’t how anyone would normally describe a young male who had so clearly crossed into manhood, but that was her exact thought. She wiped her clammy palm discreetly in her skirt folds before shaking his hand. “Pleased to meet you,” he said. “Are you finding the Basin to your liking?” His rough-skinned hand clasped hers in neither a strong nor a weak manner, but one that conveyed gentleness for its size. His warmth felt nice, and her head muddled a bit. “I, uh, I’m happy to have arrived, to be here. Yes. It’s all been…fine,” her mouth murmured. Then, too quickly, he released her. Somehow, Mistress Gere took over the conversation, discussing an animal problem in the fields and listing several possibilities she wanted Daeryn to look into. 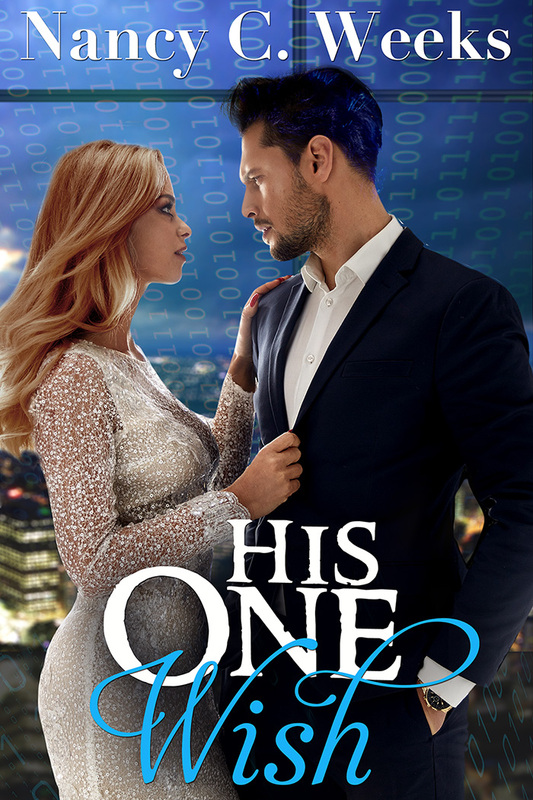 His brows came together over narrowed eyes, changing his face into a calculating contemplation that had Annmar glad she wasn’t the source of the problem. Daeryn patted her arm and, to Annmar’s surprise, gave the older woman a quick hug. “The creatures can’t avoid us long, don’t you worry. We’ll wait in the yard.” He nodded to Annmar. “Be seeing you.” He strode out of the kitchen, leaving the doors to swish closed. Social needs better explained what her employer probably meant when warning off Daeryn. He had to be from one of the Basin’s cultural pockets with different customs. Telling him to keep to the borders of her territory must be a country way of describing propriety. Good. Mistress Gere set out the rules more clearly than Mrs. Rennet could have in town. Annmar did not want to admit that she might just do that. The Unraveling is on SALE for ONLY .99 through June 30th. If you have any questions for Laurel Wanrow, she would be happy to answer them. Just leave your question in the comment section before. If for some reason it doesn't post, use my Contact Me icon above and I'll post it for you. Have a wonderful weeks, and as always, be kind to one another. Thanks for hosting me, Nancy!